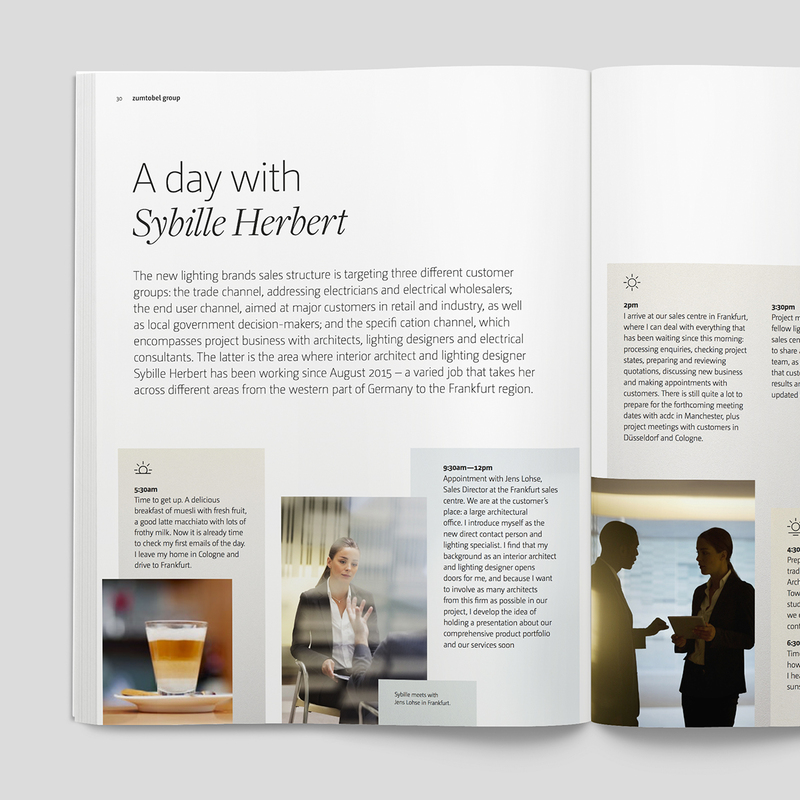 A major relaunch of Zumtobel Group’s employee magazine. 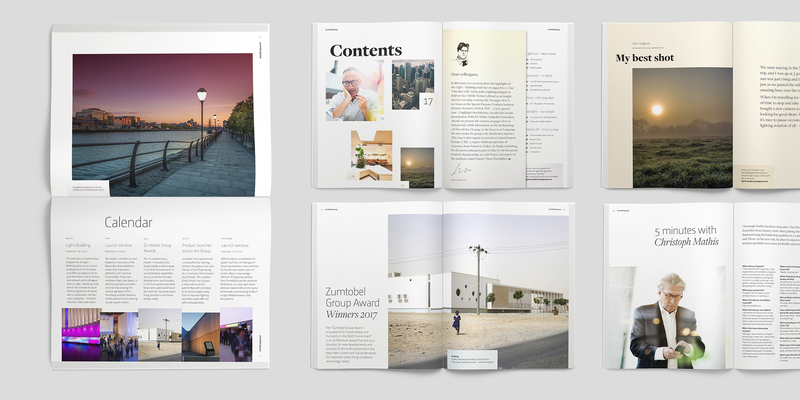 We proposed a new format, new section structure and a new approach to content, with greater contrast between articles. 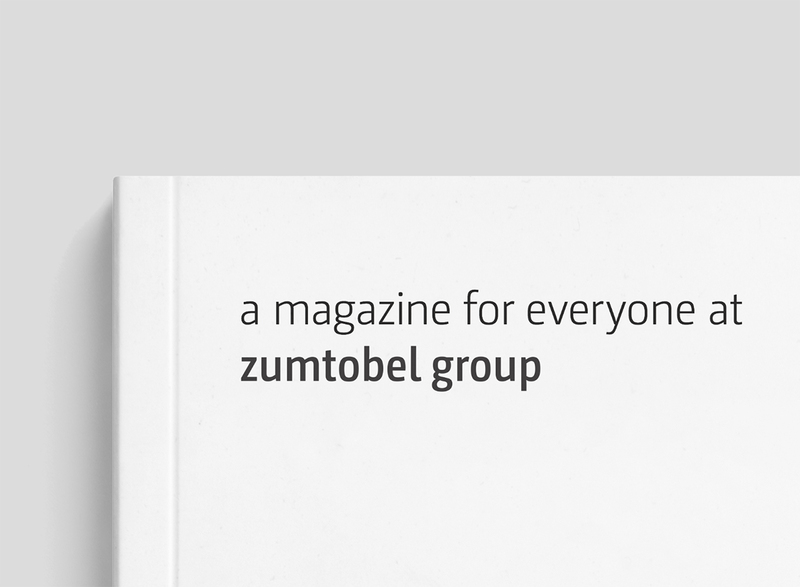 Zumtobel Group are the parent organisation to six lighting brands. After a change of strategy and a restructuring, the brands now present themselves as a group of specialists. 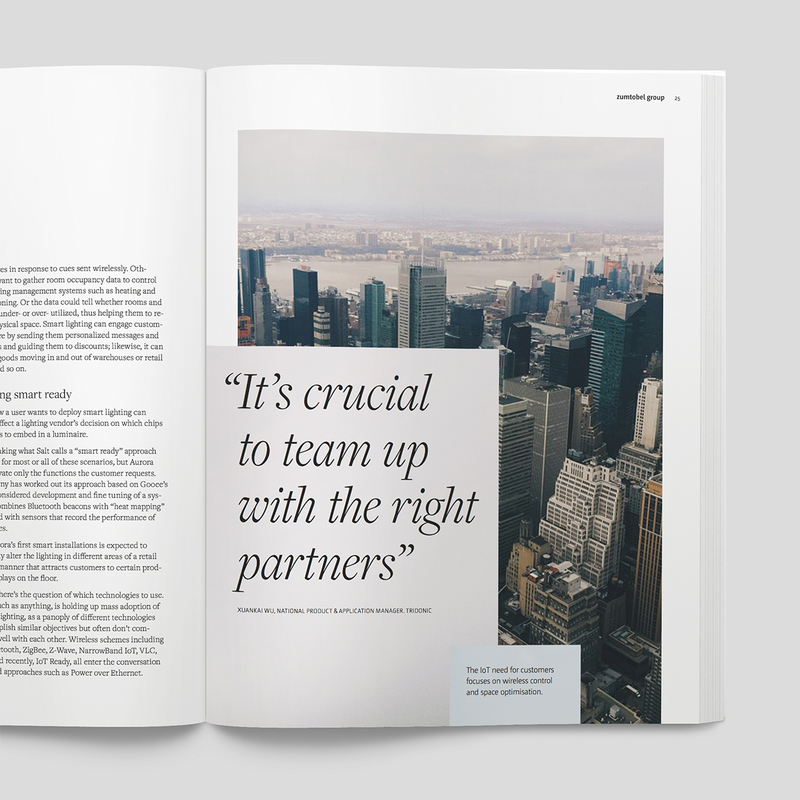 With many employees feeling strongly connected to ‘their’ brand, it is the goal for internal communications to help foster a group culture. We had already created a visual identity for the Group, based on the concept of the Group as a gallery (with the brands being the artists). 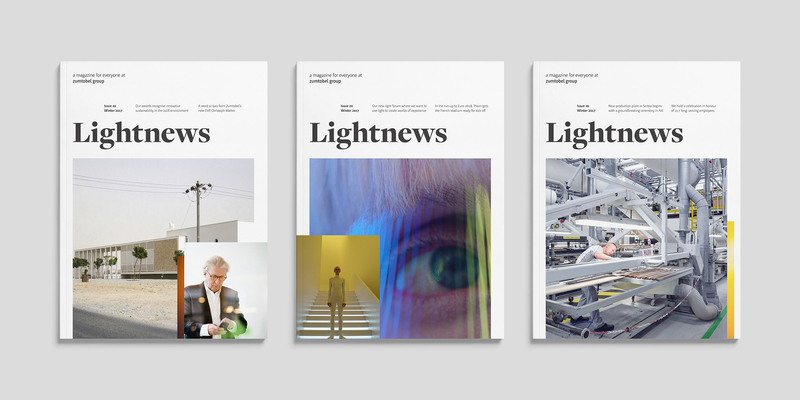 This was put into practice during the reinvention of the internal magazine, Lightnews. The magazine had fallen into neglect somewhat, with erratic publication, uninspired articles and long-winded writing. 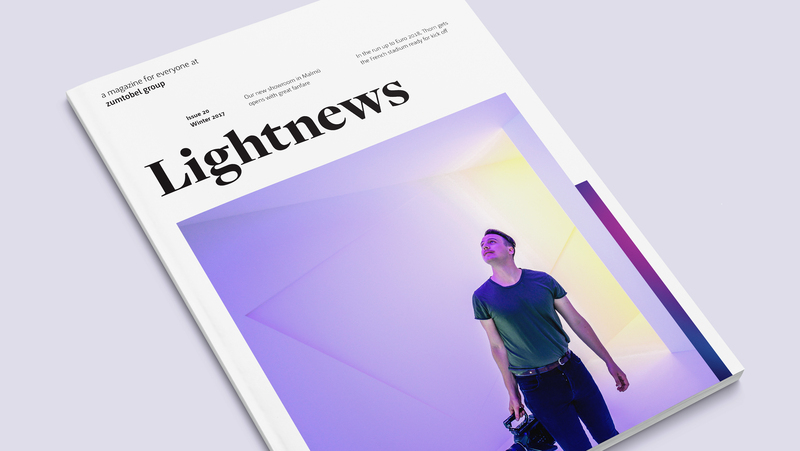 We proposed a new format, new section structure and a new approach to content, with greater contrast between articles – from in-depth writing, to rich image galleries, bite-size Q&As and more colourful personal articles. 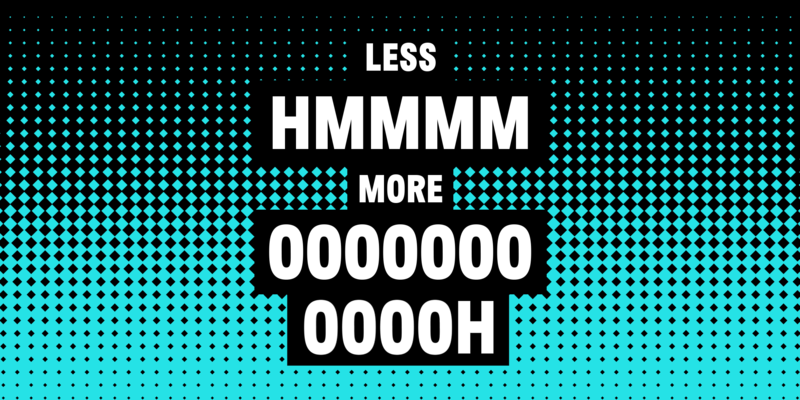 The resulting concept issue was enthusiastically embraced and is now the base for the regular issues whilst we are providing ongoing creative consultancy to help steer editorial and design direction. Bringing out the authentic voice of a lighting company with tons of personality.